Moving out of your rented property is a stressful event. You have to deal with a lot of things during that and one of the most important is to get your deposit back. For the agencies and landlords is important to sort the property out as quick as possible for the new tenants. That’s why is very important to hire reliable cleaning company. 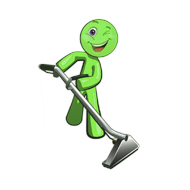 Our end of tenancy cleaning service is suitable for tenants and for landlords because we will clean the whole property including the kitchen and the bathroom on very affordable fixed rate. Another benefit hiring us is that we are reliable company available 7 days guaranteeing you stunning result. Just call us and you can put your worries aside.